An Apple iPhone 6 Plus and Samsung Galaxy S9 Plus. My iPhone 6 Plus’s contract is up. Its storage is full and its screen is cracked. It’s time I faced the music: I need a new smartphone. Normally I’d just select the next model from Apple, but the newest model famously does not include a headphone jack – I’d have to buy an adapter, yet another piece of equipment to lug around, to connect my earphones to the device. Adding insult to injury, I would not be able to charge my phone and use the earphones at the same time. 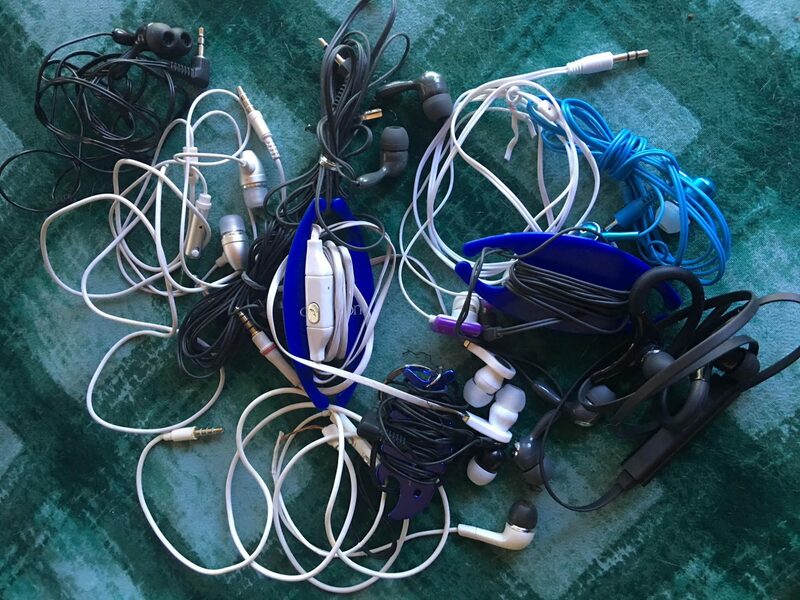 Yes, I could use Bluetooth earphones to connect, but I find them rather cumbersome – I already have trouble keeping track of my earphones (I listen to a lot of audio books), which has led to me having about 10 sets and counting. Just in case you think I’m joking. With Bluetooth earphones, not only would I have to keep track of the cordless devices themselves, I would also have to charge them regularly and pair them with the iPhone every time I use them. Does that mean it’s time for me to commit the cardinal sin of Apple fandom – leave the iPhone family and defect to a Samsung? I’ve decided to find out by comparing the iPhone 8 to the Samsung Galaxy S8. 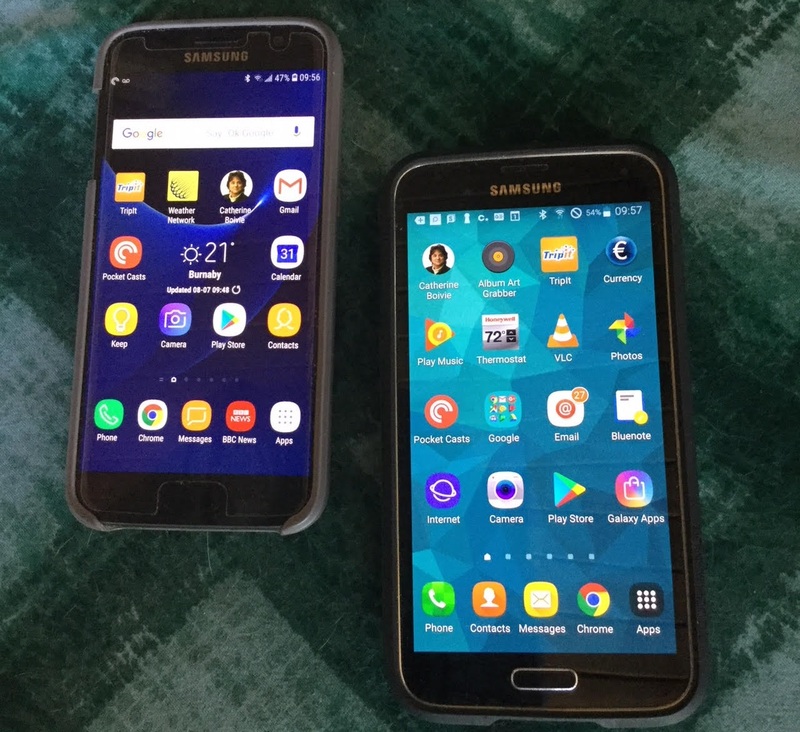 My husband’s devices. So at least I know that if I switched to Samsung I’d be in good company. To conduct my search, I started by listing the criteria I needed to consider. This included: cost, ease of use, security, screen size, storage space, battery life, ease of integration with my iPad and PC, and number and variety of available apps. I didn’t compare their cameras, as I consider both good enough for my needs. For ease of use and security Apple wins, hands-down. Since I have already been using Apple products for years, I wouldn’t have to relearn how to use an iPhone 8. And for security, everything I have read (such as 9 to 5 Mac’s excellent breakdown) rates the iPhone as having stronger security features. Both the S8 and iPhone 8 have similar screen sizes, so it turned out that was not a differentiator. But there is a difference in storage space and battery life. The S8 wins in both criteria: it has up to 256GB of expandable storage, while the iPhone has none, and it has a larger battery capacity as well. By one measurement, the S8 lasts 45 minutes longer. Samsung wins also wins by default with the headphone jack: the S8 has one (the S9 will too), while the iPhone 8 does not. However, the iPhone wins hands down when it comes to ease of integration with my iPad and PC. The device’s synchronization always works, and it has the same user interface as the iPad. This is not the case for the S8. 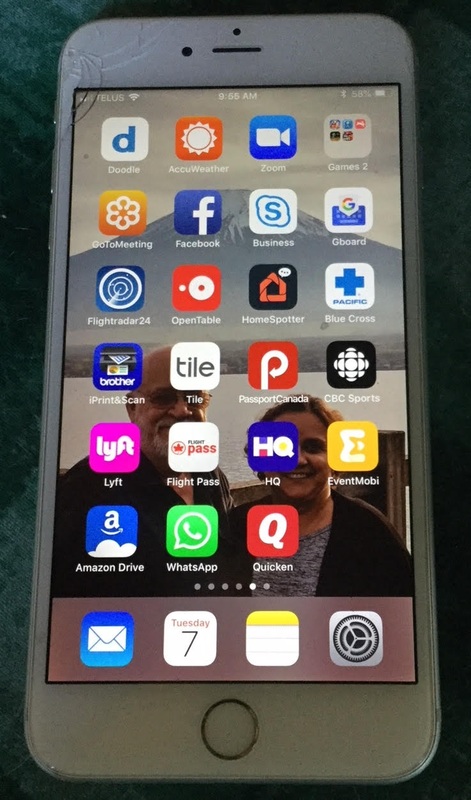 Samsung users may have access to a greater number and variety of available apps, but Apple makes sure that the apps on its app store follow its high standards, which include paying enough attention to security to ensure that some overlord in the outer reaches of Siberia or Nigeria can’t take away my money and firstborn by tricking me into using a sketchy app. As you might have guessed, I haven’t quite made my decision yet. Is the convenience of not having to learn another operating system more important to me than the inevitable headache of dealing with ear phones and their related gear? Does Apple’s strong security mean more to me than the Samsung’s additional storage availability?